I’ve just returned from Mexico and feel fortunate to have visited with so many of my family again, four generations of us, all getting together for all sorts of occasions. 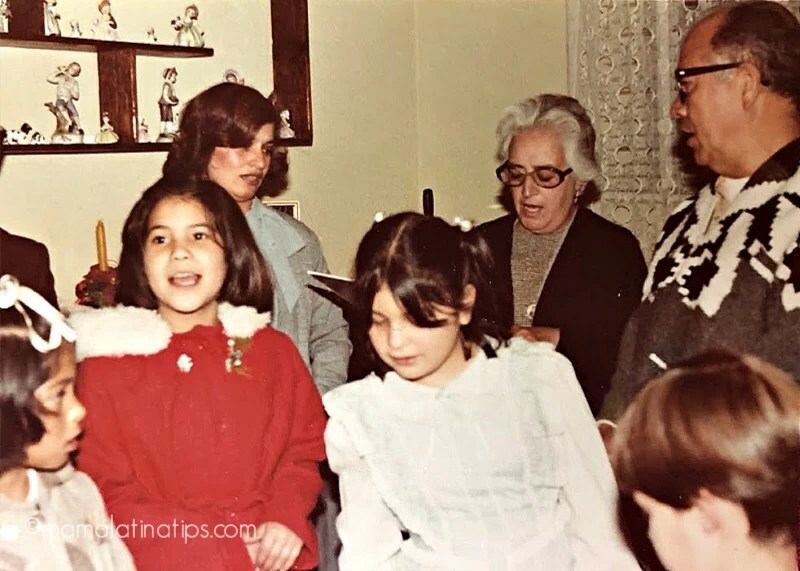 Although the holidays were a big part of it, Las Posadas, Christmas, New Years, Three Kings Day, we also gathered for my mom’s college graduation, yay mom, and a few birthdays, too. You name it, we celebrated it. Of all the fun, watching great aunts, great uncles and grandparents playing and talking with their great nephews, great nieces and grandchildren, always ranks as one of the highlights of these get-togethers for me. I’m sure you know the kinds of beautiful multigenerational interactions I’m talking about; a favorite aunt in a tête-à-tête with her niece who’s sharing her plans for college, or feelings about someone special; a grandmother tapping a balloon just out of reach of a laughing grandson; an uncle sitting at the keyboard playing a duet with the next family prodigy. I’m always struck by the beauty of it all. So many treasures exchanged, the big three, of course, knowledge, wisdom, and experience; but also softer values like empathy, inclusion, culture, and heritage. Probably the thing that struck me most this time was how the treasures don’t just flow in one direction. The older generation shares much, but the younger generation has plenty to contribute as well. The younger contributes values we may sometimes overlook, like youthful exuberance, the therapeutic touch of a warm and genuine hug, respect, loving care, security, purpose, even the latest insight into the Next Big Thing in technology. The Family Cook-Off: Pair grandparents with grandchildren and cook something together, maybe as a competition, “Chopped” style, or just to share without competing. The middle generation can be the judges or tasters. Movie Night: A double feature. The older generation shares a classic movie they love, then the younger generation shares one that speaks to them. Are there any similarities? Share a Skill: Everyone has something to teach. In this activity, each generation teaches the other a skill. Maybe a youngster is tech savvy and can teach the rest of the family how to communicate through video, or maybe she can show how to download a book to a tablet, etc. The older generation can teach something, too—a lost art or craft, how to knit, how to play an instrument, etc. Juggling multi-generational caregiving and work, medications and personal responsibilities, and so much more, the average family caregiver is a working mother of school-aged children. Just knowing what’s next and keeping all the proverbial balls in the air can be a significant organizational and logistical challenge in itself. Caregivers are devoted to taking care of those in their care, while still managing their own homes and families. There’s little time to relax. From early morning to late at night, most caregivers find they must cut back on their own, already limited, personal hours to fulfill their duties as caregivers. Taking care of others requires taking care of themselves, but self-care often falls to the bottom of their daily to-do list. This means caregivers often neglect their own physical and mental health to keep up their busy schedules. The challenge for caregivers is to pay extra attention to themselves to find respite and to re-energize. Paying attention to their bodies and making time for themselves will help keep them in good health, so they can manage both daily and future challenges, while caring for loved ones even better. Is there someone, or a group of others, who can hold down the fort while she takes a day off? Maybe a bit more pragmatically, caregivers often do a lot of lifting, pushing, and pulling. Is there anyone who can stop by for a few minutes for a little extra help during these tasks? In spite of the challenges of caregiving, in a multi-generational family, there are many benefits for all, including the caregiver, the person being cared for, and others, like children, in the home. 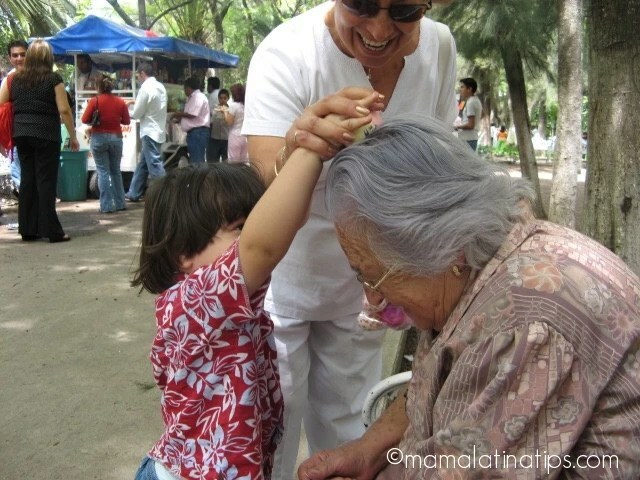 The beautiful multigenerational interactions I witnessed in my latest trip to Mexico are just some of those benefits. Below, I’ve included some resources for caregivers from the great folks at SCAN. Since its founding in 1977, SCAN has been a mission-driven organization dedicated to keeping seniors healthy and independent. These are great activities to connect generations. It is cool when the babies can connect with great grandparents. Amazing amazing ideas! Love it! Especially the family cook off, so cool. Thank you for sharing. I LOVE the family cook-off idea! LOVE IT! 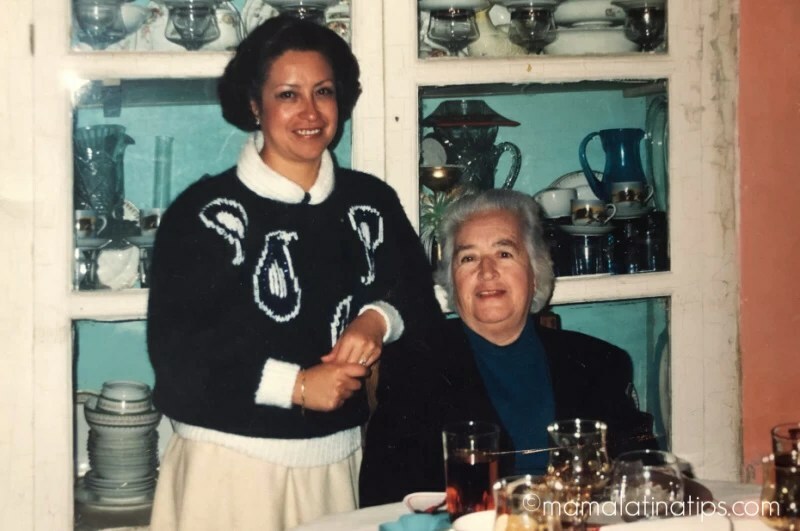 I’m Latina too and I loved all the holidays and celebrations of my family, but like you…above all caring for each other was highly emphasized…particularly the older members of the family. I think this is exactly how things should be. Those are great ideas for generations within a family to connect. We have four generations on my side of the family and we do our best to make sure the younger generation connects with the older generation. 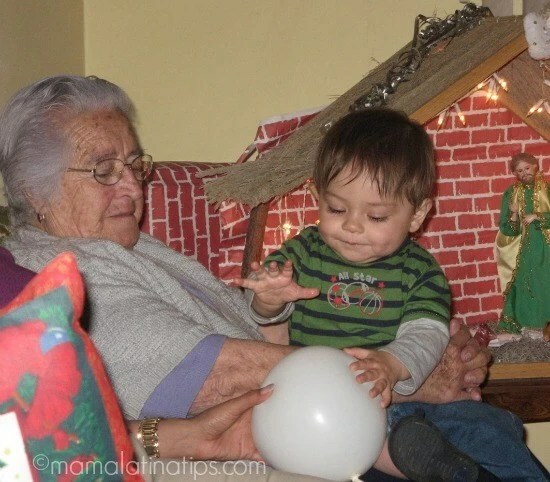 I love seeing my grandma with my kids (her great grandkids). She teaches them things that, even though she taught me, it is better taught from her. Great post about the value of multi generations in families. Thank you for sharing! My grandma was always so good at including us into the activities that she was doing. We learned a LOT from her and always felt wanted and loved. Now as an adult, it’s my turn to repay her for her attentiveness. Great suggestions for activities. It’s nice to share time with your family, of all generations, doing activities that will create lasting memories. These totally look like they would be some great activities. I love bridging the gaps when we can between the generations to bring them closer together. These are great activities. In fifth grade, I was a penpal to an elderly woman in a nursing home. Even now, I cherish that experience. Thank you for sharing this loving memory with us. I have kind of had to do the multiple generational thing with my daughter and my parents. Doing a movie night is good if you can find a balance for both people and get them to understand each other a bit.